Thought the time for toys was in your past? Or that they’re only for your kids to play with? Think again! Get ready to stop, drop and roll with Sphero (literally this toy will actually do that!) the app controlled ball that does it all! 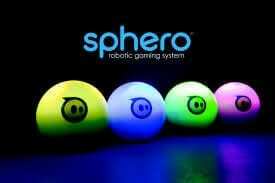 Sphero is a toy ball that combines technology and software with the physical play, movement and hardware of a toy. This sphere, hence the name Sphero, is made up of a high-impact polycarbonate shell that holds an Orbtotix Smart Robot inside. Compatible with iPhones and iPads using iOS 4.0+, Bluetooth-enabled smartphones and tablets as well as Andriod devices with operating systems 2.2+ Sphero allows you to play, learn and even connect and play with friends or family with their multi-play feature through all of your handheld devices. Playing with your Sphero is more than just tapping your fingers on a screen to play a computer game by tapping your fingers on your phone or iPad, its dynamic and interactive. Their Driving game allows you to drive and roll your Sphero around you in any environment. The Arcade feature turns Sphero a handheld control for games while the Tabletop feature turns your Sphero into something of aan interactive boardgame; games like Memory, Catchphrase or Hot Potato on Sphero are all perfect additions for a night out with friends or family game-night. Take your playtime one step further with Sphero’s educational program SPRK. 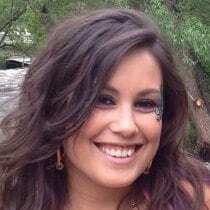 SPRK was created because the Orbotix team firmly believes that while play can fun it can also be a powerful teacher. And why not make learning fun for kids and adults too! CORE lessons are geared towards teaching kids the principals of math and sciences through programing. Beginning with basic MacroLab lessons, a visual programming app, students learn and eventually advance into OrbBasic lessons—an app for text-based programming. 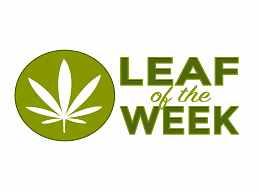 MacroLab lessons include: Time, Speed and Distance, Geometry, Mean, Median and Mode, Percentages, Patterns and Colors and more. Students who have successfully completed Core lessons can then begin utilizing STEM challenges that feature group-work in which students brainstorm and build devices powered by Sphero. 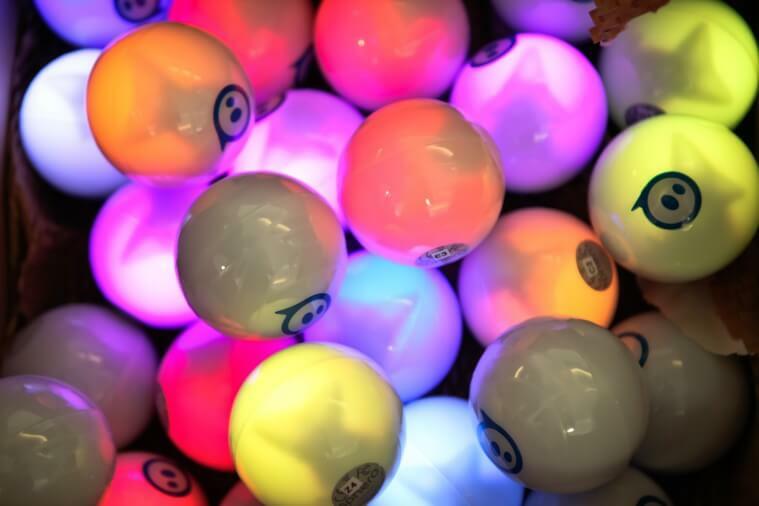 Sphero features a number of tech specs such as LED glow, Bluetooth capability, a 30M range, extreme durability—it’s waterproof—as well as long battery life. Apps to play and learn are available through the iTunes App store or Andriod Market / Google Play. 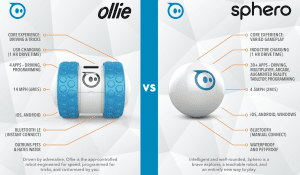 Sphero is available in the regular model or the 2.0 model and as well as the recently released a new rougher and tougher toy robot Ollie. Ollie features a high speeds, extreme durability and and as they say is ‘driven by adrenaline’. Creators and founders Adam Wilson and Ian Bernstein are robotics and software engineers who believe they can change the way people interact with toys and each other. 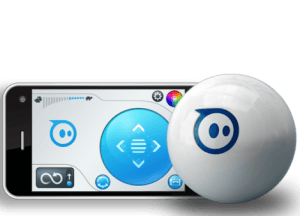 Launched in 2011, Sphero is an example of how their work can change toys for the better by making them dynamic and social, creating a new category of toys by “defining the way people interact with hardware and software together”.